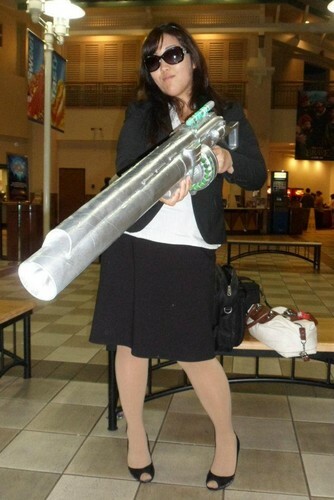 Agent "H" with Series 4 1-A "BFG". Agent "H" of the HD MIB (Hawai'i Division Men in Black), takes the lead in the hunt for Aliens at the MIB3 premee with the Series 4 1-A RCA Pulsar (Rifle canon, cannon Atomizer), ou better known among the Agents, "The BFG": "The big fricken gun!". HD Wallpaper and background images in the Men in Black club tagged: mib trailer men in black iii agent series 4 pulsar bfg.